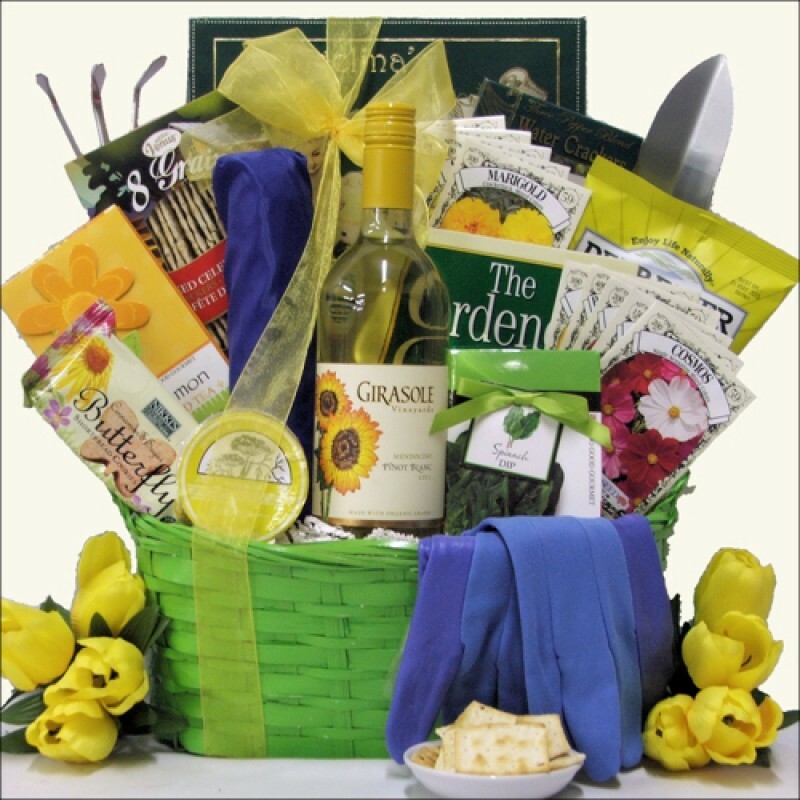 Summer is finally here and they are going to be thrilled when they receive this beautiful Summer Garden gift basket. A colorful bamboo lined planter is filled with everything they will need to start planting including gardening tools, flower and vegetable seed packets, gardening gloves and a tri-fold summer colors umbrella for those summer showers, plus when the sun goes down they will be able to enjoy a glass of Girasole Vineyards Organic Pinot Blanc White and some tasty treats of crackers, cheese, cookies and snacks. This basket is perfect for any occasion. ...in an Colorful Bamboo Lined Planter Gift Basket!